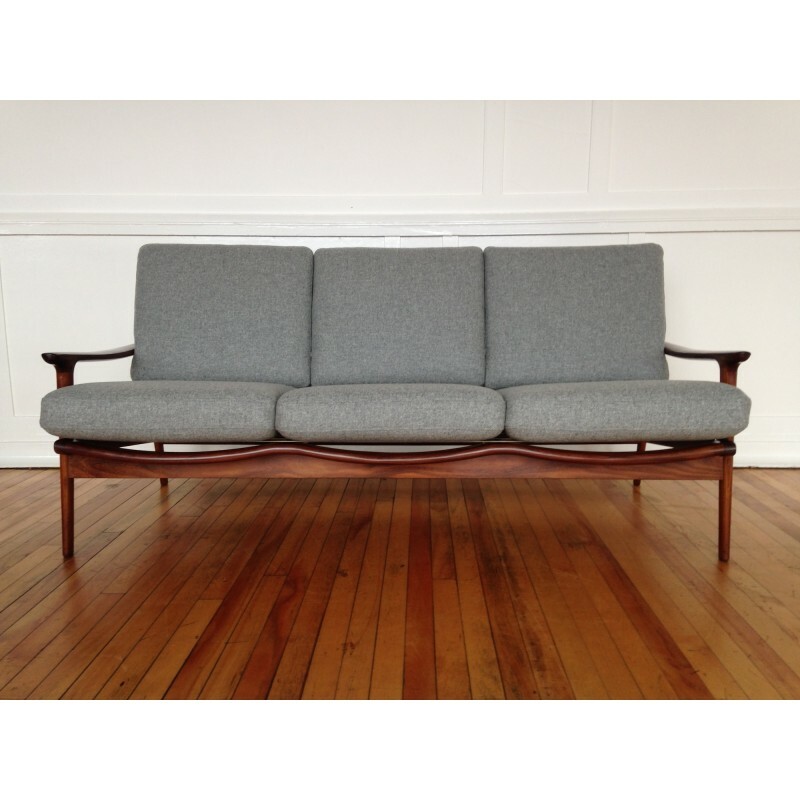 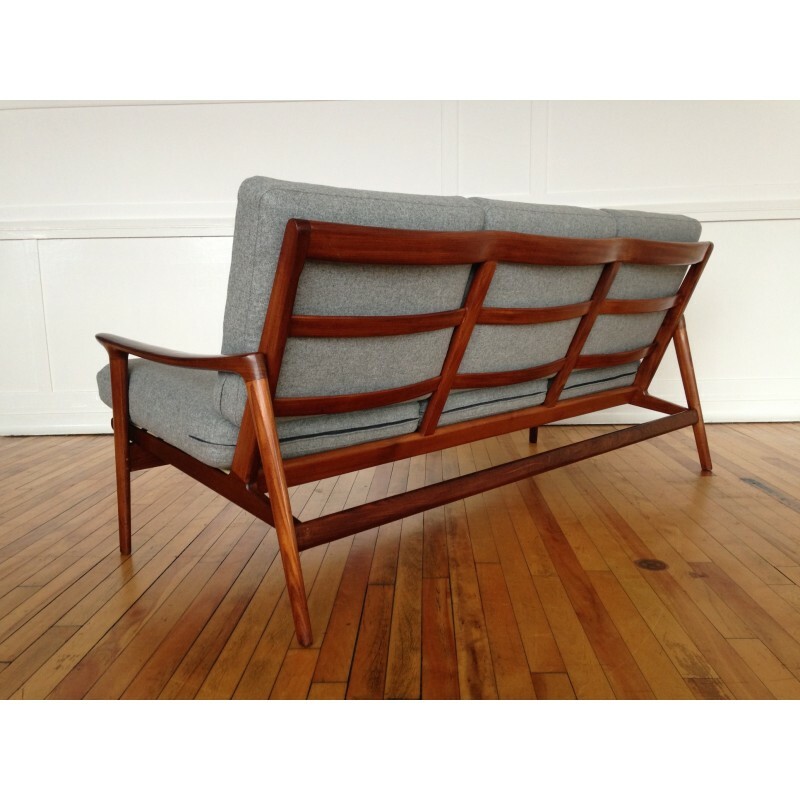 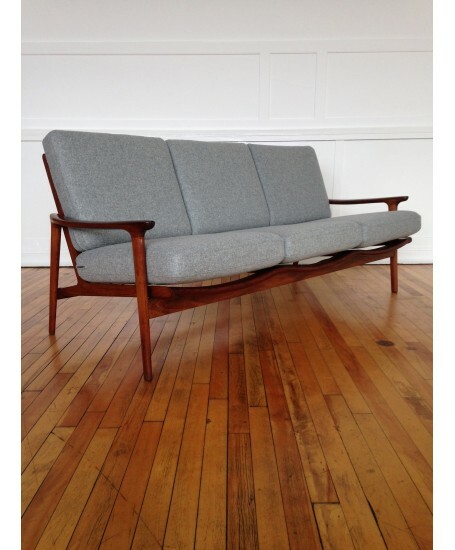 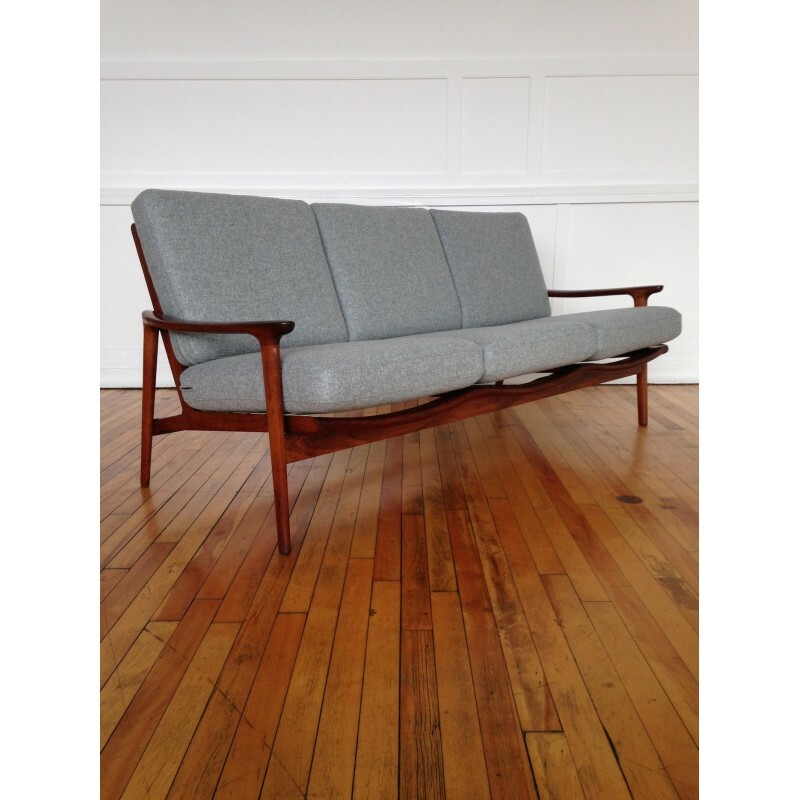 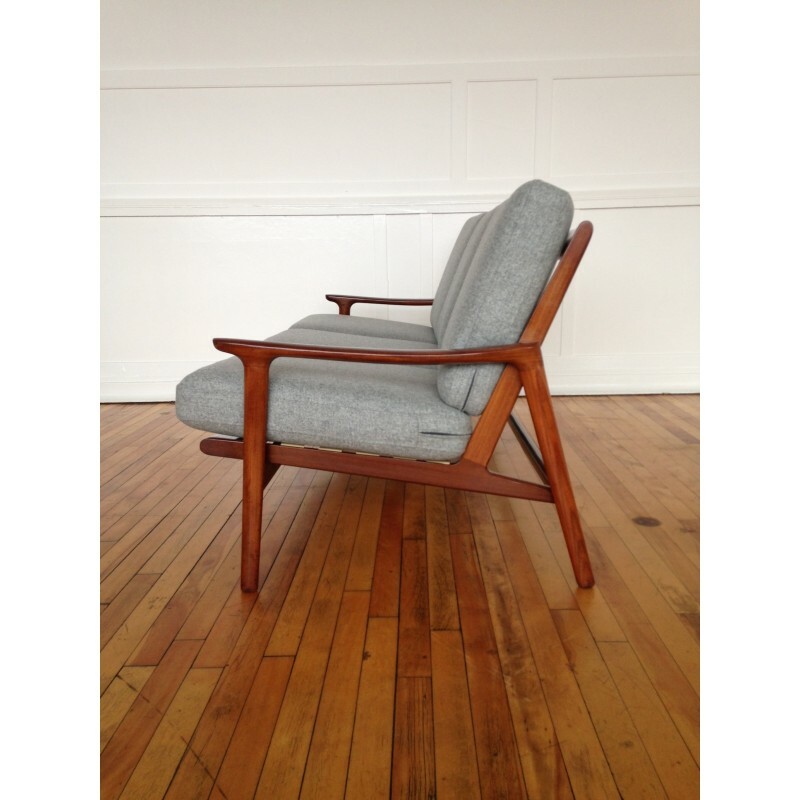 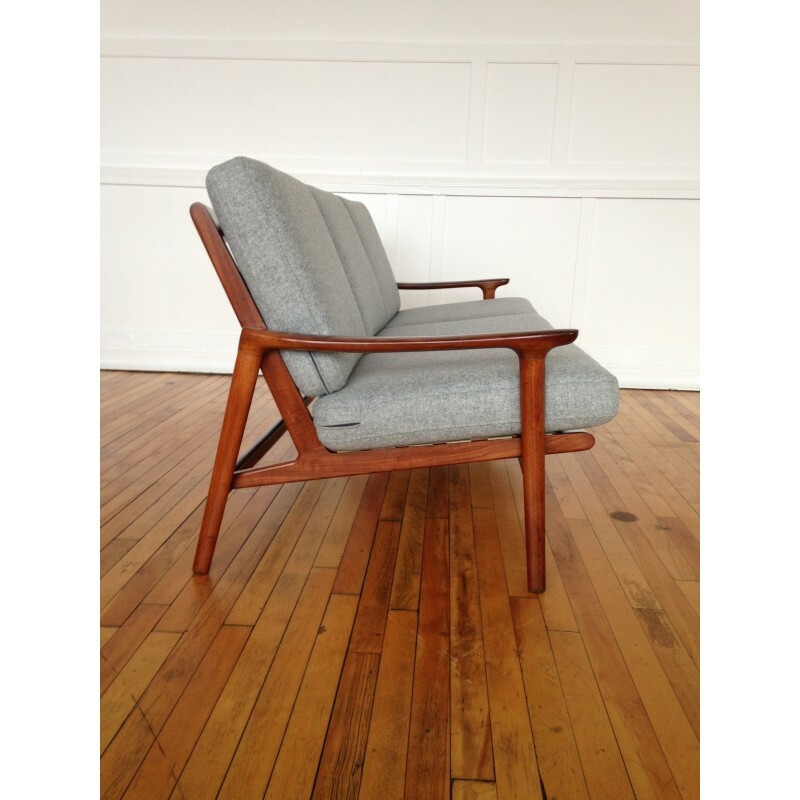 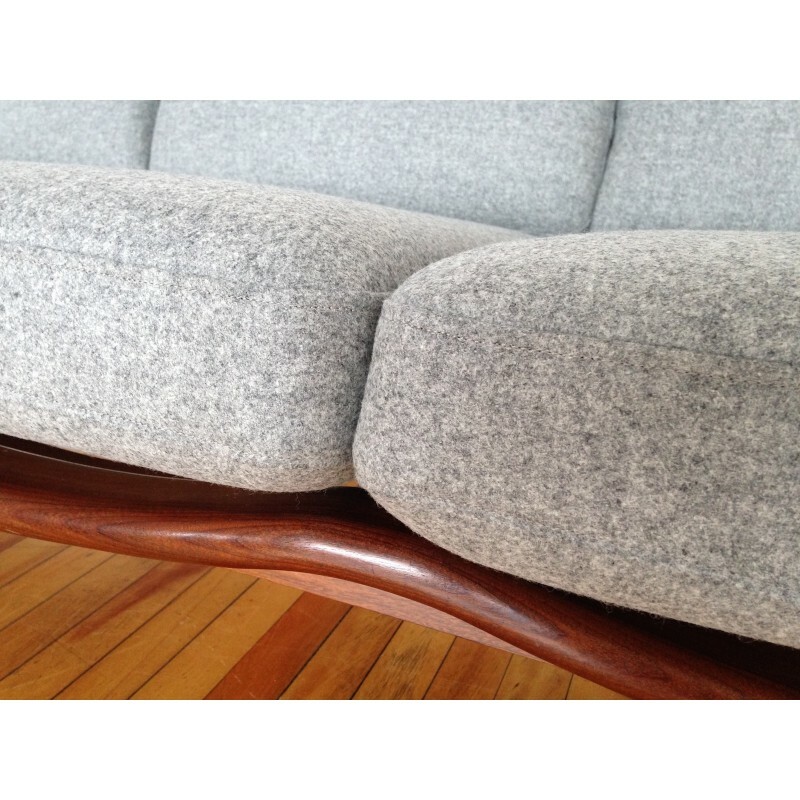 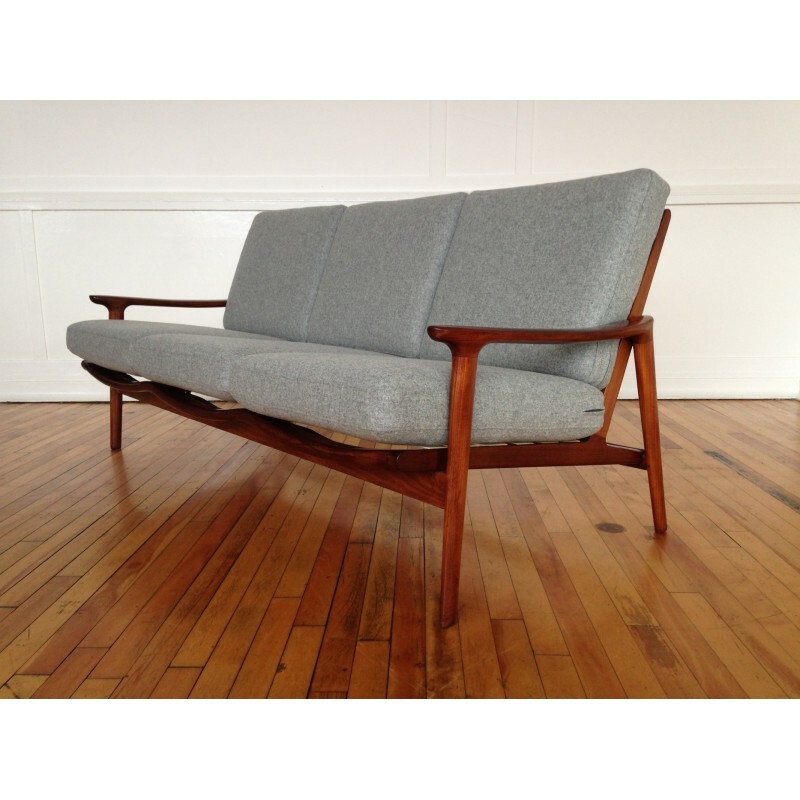 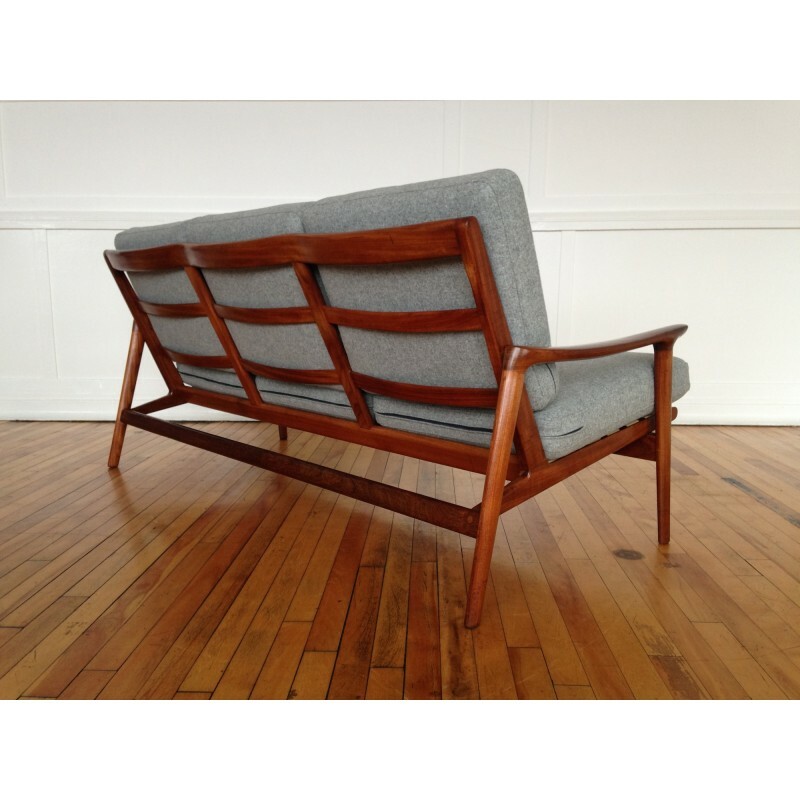 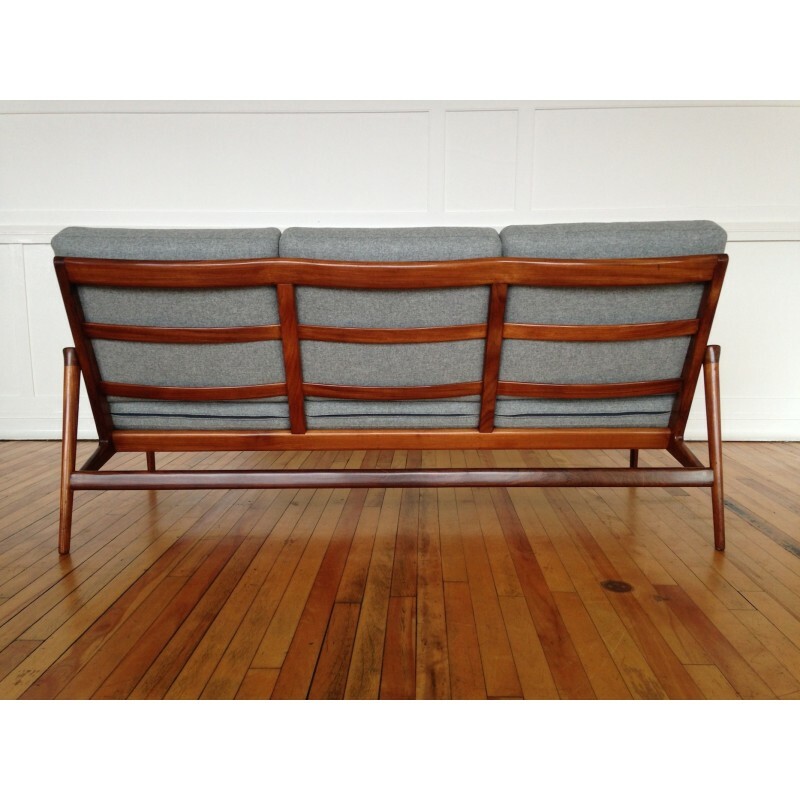 A superb 1960's Guy Rogers New Yorker sofa. 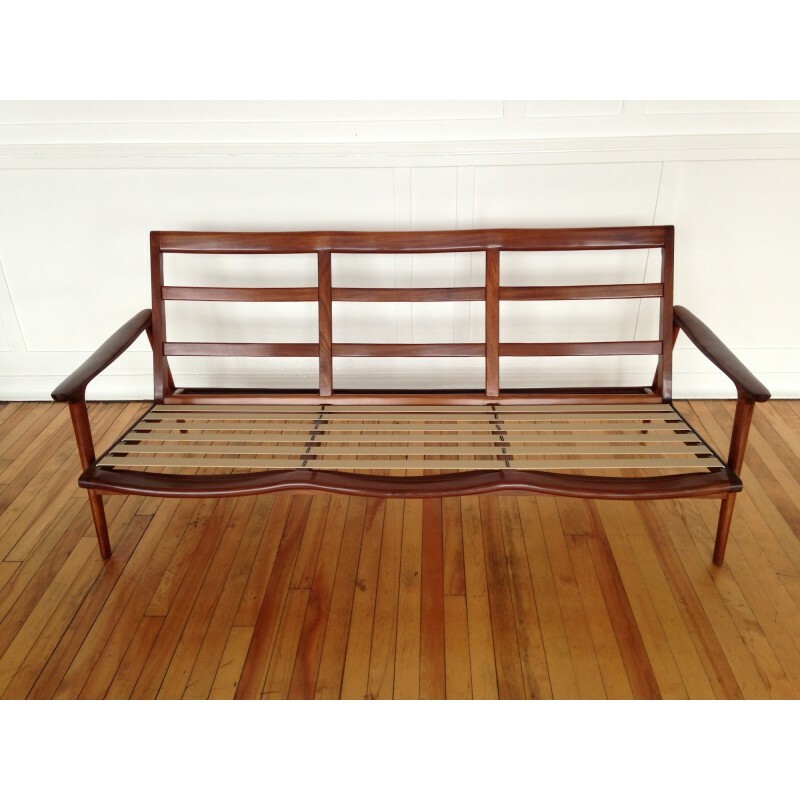 The framework is constructed from beautiful afromosia (similar to teak) which has stunning grains and is in excellent condition for it's age with only very minor wear. 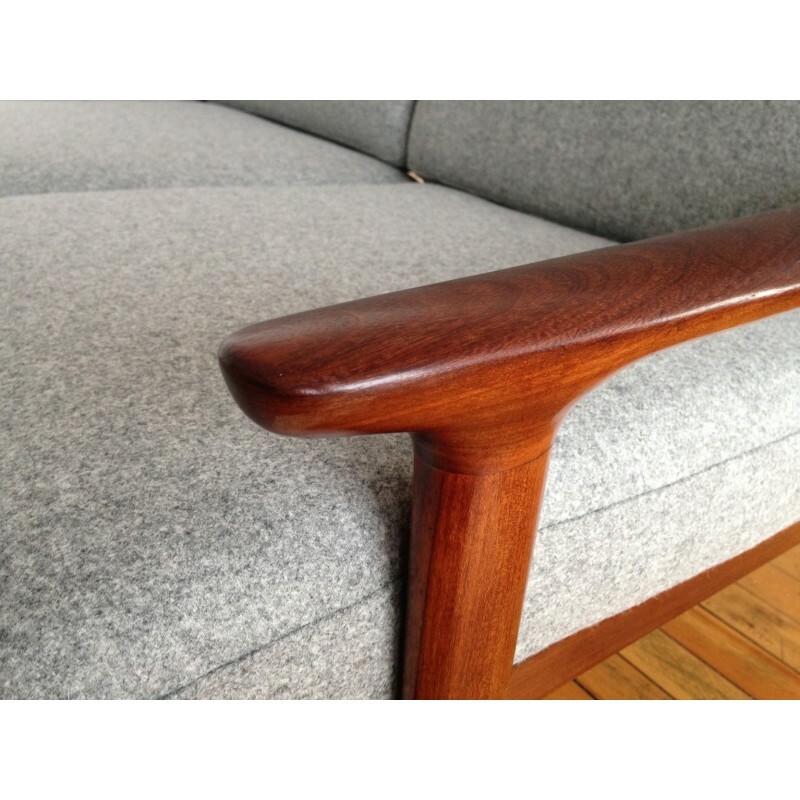 We have carefully cleaned, nourished, oiled, waxed and polished the wood ensuring it retains its natural beauty but to give it a beautiful glow.